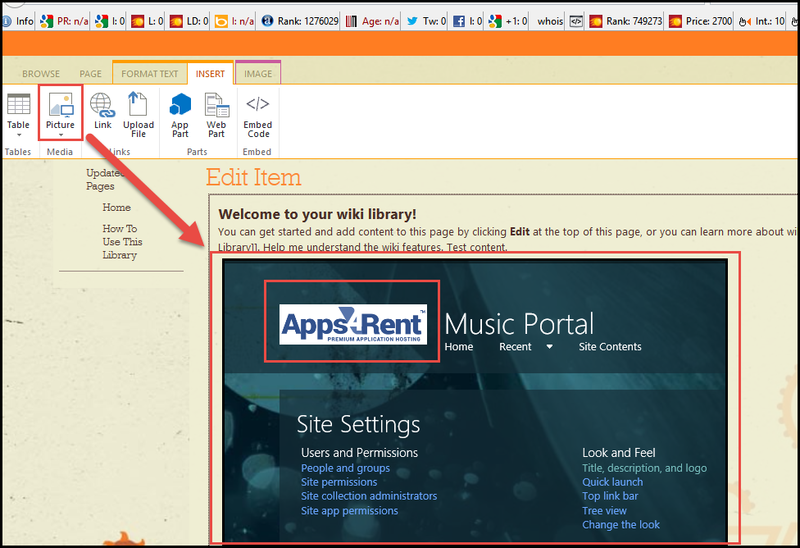 In a SharePoint Wiki, files and images can be quickly uploaded using a few simple steps. 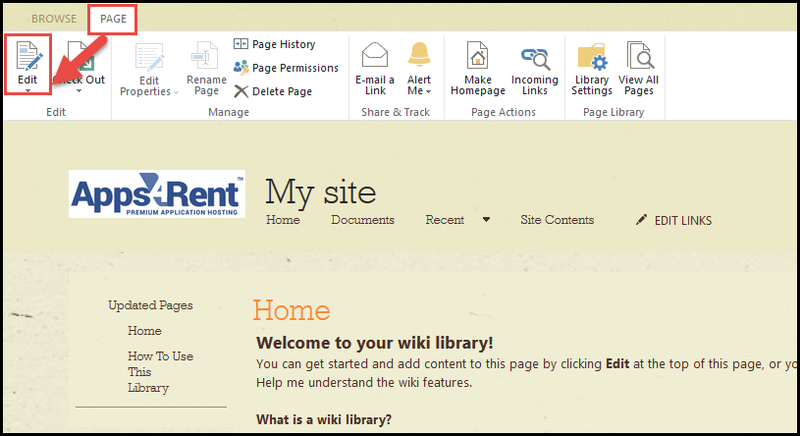 If you want to add an image to your Wiki, you will first have to upload it to your site via the picture library. Other than these, you can also add tables, media, links, App Parts, Web Parts, and more. 1) First go to your Wiki page. 2) Go to Edit option under the Page tab in the ribbon at the top of the page. 3) When you click on Edit option, you get two tabs, Format Text and Insert. Here click on the Insert tab. 4) Here click on Upload File if you wish to upload an attachment or click on Picture option to upload an image. Once done, the file or image that you uploaded will be displayed on the page.